Looking to buy a new build or a resale property in Guardamar, Costa Blanca, Spain? If so, do not hesitate to contact E-Style. We provide the best selection of detached villas, townhouses, penthouses and apartments in the popular town of Guardamar. Guardamar is just a great place for holidays or permanent living near the beach and the pine forests. Having a wide variety of local services and entertainment near your property in Spain makes Guardamar in Costa Blanca South an exceptional location. 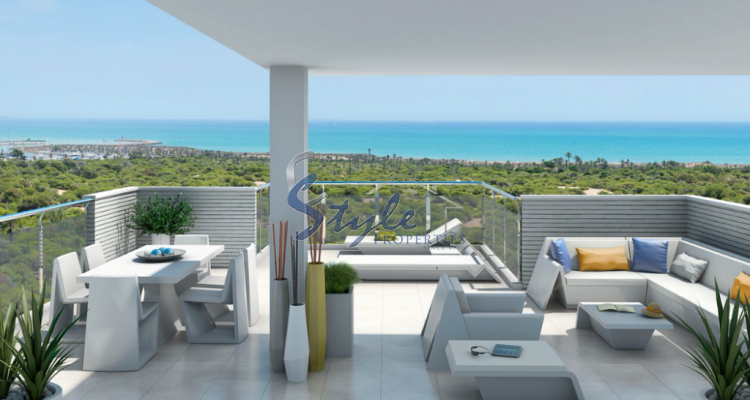 Some of the properties we have available have been built in a modern style in which minimalism and sophistication play an important role. Other properties have a more traditional Spanish flavour but you can be sure all of them match all the quality requirements. Most come with a communal pool or even a private pool, and many include extras such as air conditioning, beautiful gardens, big terraces and solariums with great views. We invite you to take a look at our selection of property for sale in Guardamar, Costa Blanca.